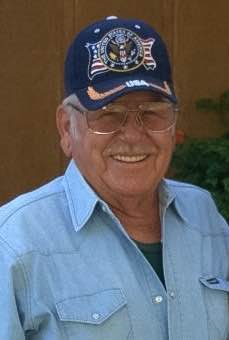 CUERO – Roy Heine Jr., 76, beloved husband, father, brother, uncle and grandpa (Pop) went to be with the Lord on June 6, 2016. Roy was born on August 12, 1939 to Roy Heine Sr. and Velma Pauline Heine both deceased. Roy was preceded in death by his loving wife “Kitty” Lillian Heine. Dear father of Jenelle Kunkel and Russell Heine, and brother to Don Heine and James Heine. Roy was preceded in death by his three sisters, Juanelle Haskell, Pauline Wood and Judy Prince. Loving Grandfather to Paul Kunkel, Calvin Kunkel, Kathaleen Greenwood (Landon), Jerod Heine, Clyde Carmody (Molly), Jessica Bannon (Mike) and Rachael Wagner (Chad). Roy will be missed by his good friend and son-in-law Michael Kunkel. Roy was a dear uncle to his wonderful nieces and nephews. He is also survived by his great grandchildren Kassidy, Cole, Brayden, Madison, Jaxen, Jacob, Delyn, CheyAnne, Kiley, Nathan, and Cody. Roy was a life-long member of the Church of Christ. He was a devoted Mason of the Norton Moses Lodge #336 from 1975 and served as Past Master in 1980/81. Roy was in the US Air Force from 1958 to 1961 as a flight line mechanic and crew chief. Roy held a CDL license and spent many years driving haul trucks with his wife Kitty by his side. In later years he was successfully self-employed doing excavation work and was a licensed heavy equipment operator, clearing land, building lakes and roads. His favorite pastimes were hunting and fishing and watching the stock car races, especially with his grandchildren. Visitation will be held Monday , June 13, 2016 from 9 am to 6 pm at Goliad Funeral Home Chapel. Family will be in attendance from 4 pm to 6 pm. The Funeral Servies will be held on Tuesday, June 14, 2016 at Goliad Funeral Home at 10 am. Burial will follow at Seaside Memorial Gardens Cemetery in Corpus Christi, Texas (4357 Ocean Drive) “Kitty’s cousin Frank Berthold, minister of the Church of Christ in San Angelo will officiate. Pallbearers are Michael Kunkel, James Heine, Don Prince, Robert DeLaGarza, Ruben San Miguel , Paul Kunkel and Calvin Kunkel.